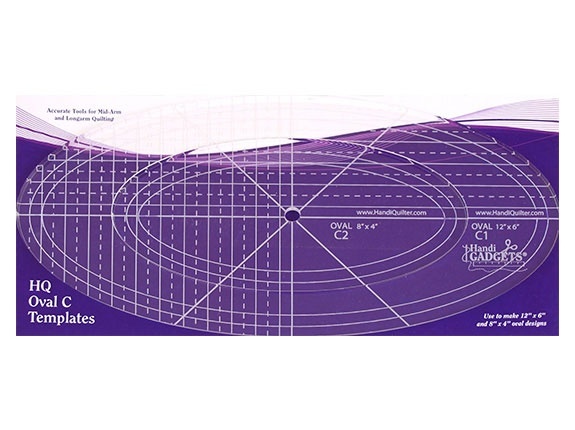 The HQ Oval C 12″, 8″ is made from quality .25-inch thick quality acrylic. Use the HQ Oval C 12″, 8″ to make curved lines, flower blocks, and looped border designs. 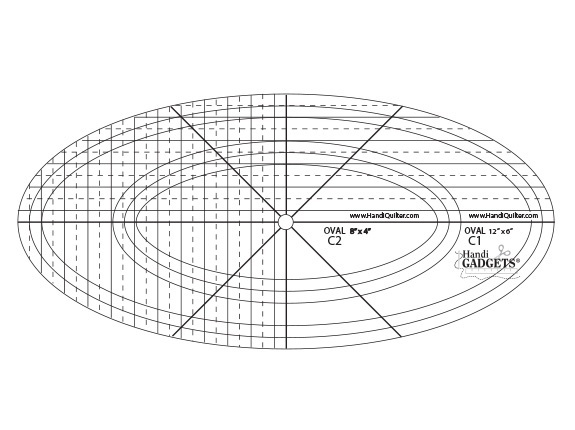 The HQ Oval C 12″, 8″ is made from quality .25-inch thick quality acrylic. Use the HQ Oval C 12″, 8″ to make curved lines. flower blocks, and looped border designs. It comes with 12″ and 8″ templates.